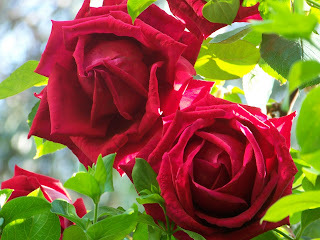 You may have guessed from my work but I love flowers and in particular roses. I have about 15 different varieties in my garden from big frilly red ones to pretty white wild ones and just about everything in between. I don't know the names or really anything about them, I am not blessed with green fingers or the time to look into it but I still love there pop of colour and warm comforting smell. 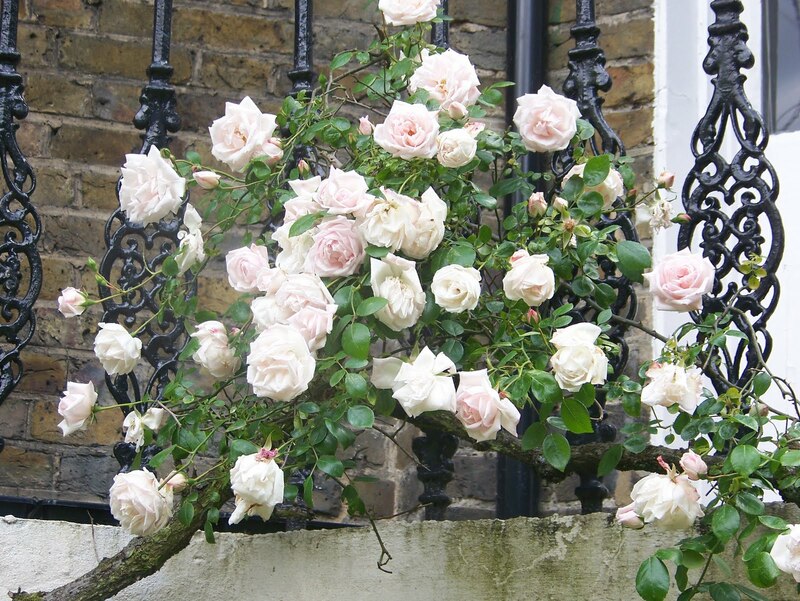 My current favourite is the huge pale pink roses that greet me at my front door, they have a slight yellow tinge to the middle and smell like heaven. Of course the ones just outside my back door arent too bad either, such a pale pink that they are almost white. These hang over the balcony of the flat above us and are a real pain to look after as they grow so fast and weave round the railings. It is worth it though as they always look truely gorgeous. I could moan that the weather has been rubbish, typical british summer when the sun can't decided whether to come or go but this year my roses are flourishing and this is due to the sun and rain so I am quite happy for it to continue. Of course a few more sunny days would be nice so I could actually go out and enjoy looking at them but for now I will just have to do with sitting in my living room looking out the window at these beauties.